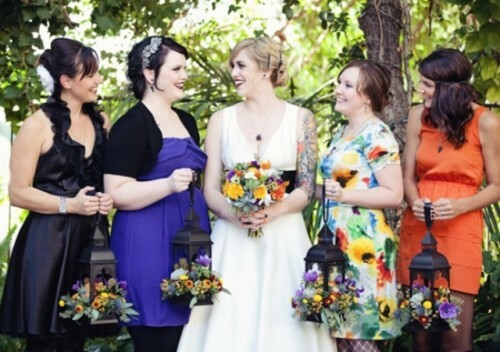 Halloweddings are spooky yet elegant, charming though frightening, it’s real dark romance! 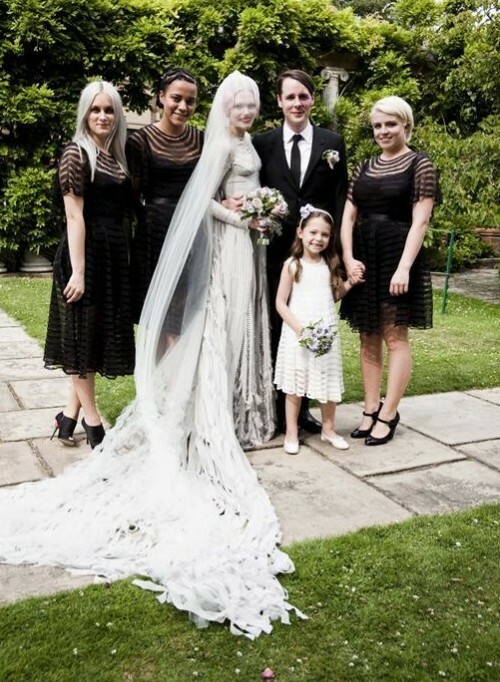 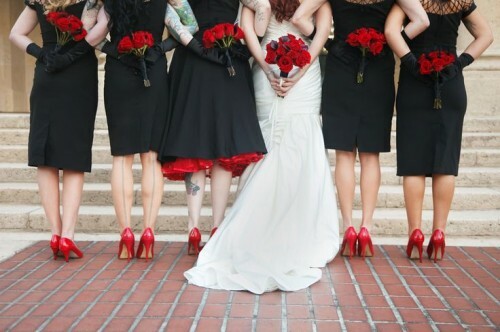 The bridal dress is probably the most stunning outfit of such event but the bridesmaids should be well dressed, too! 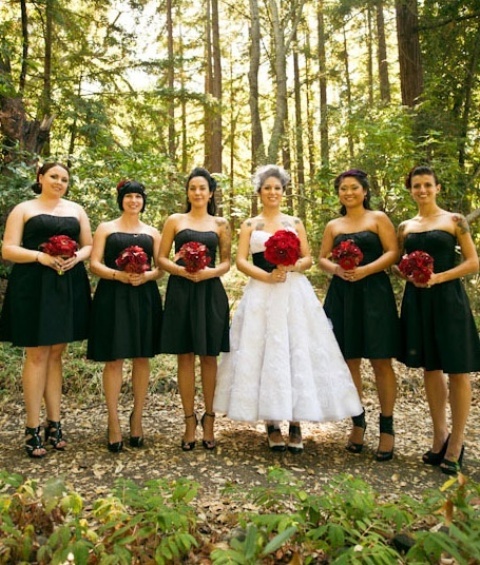 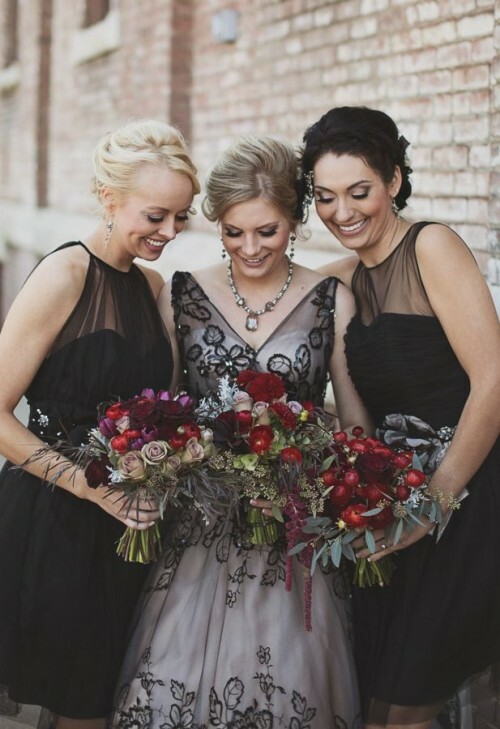 Halloween bridesmaids mostly choose dark colors to rock: black (it’s the absolute leader), dark blue, grey, burgundy or purple. 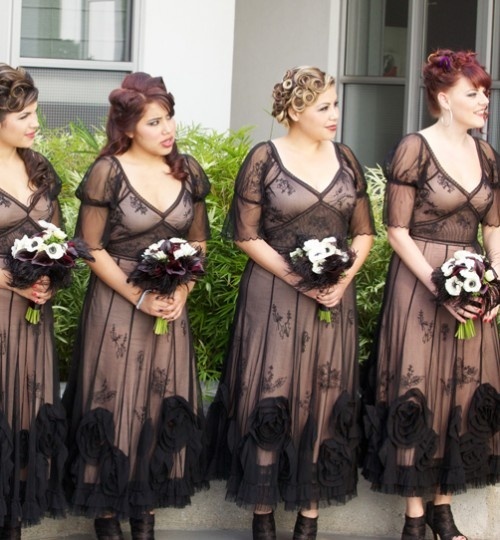 Glam, gothic or soft gothic or vintage style look ideal for such cases – the bridesmaids will be breathtaking! 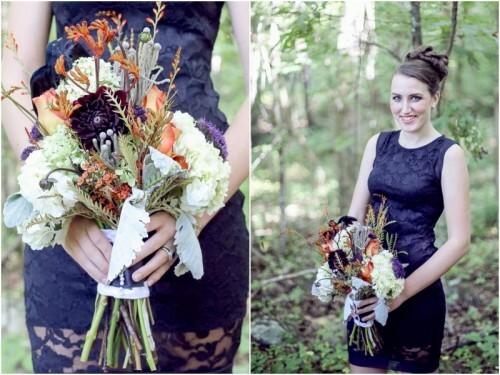 Dark elegance, stunning accessories and dramatic makeup will help you to finish the look. 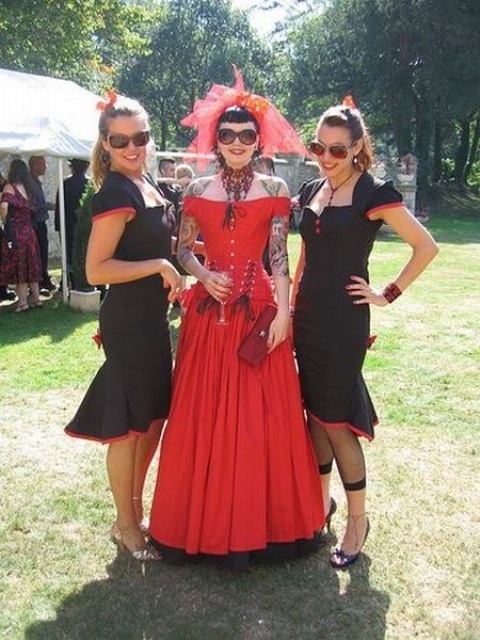 We’ve prepared several Halloween bridesmaids’ gowns that impressed us most of all, and you can enjoy them below!